I’m going to tell you a secret, so if you’re a freelancer, listen up! Gina Horkey is my freelancing idol! Seriously. Girl has been literally killing it since she started, just two short years ago. I thought it’d be fun to write a “Top 5” post to share all of the reasons why I love her, admire her, and respect her. A lot of bloggers or freelancers don’t want to share their secrets for fear that someone will steal them, put them to work and get better results or something. Gina on the other hand has no problem giving her best tips away, often for free. And she likes to share what she is learning and what is working for her openly on her blog. So not only is Gina sharing what she’s learning, but what’s she’s already tried, tested and put into practice that’s produced results. 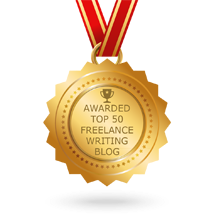 Kickstart Your Freelance Writing Biz – a FREE, five day email course to get familiar with freelance writing. Jumpstart Your Virtual Assistance Career – a FREE, five day email course to help you break into VA work. One of my favorite parts about Gina is that she doesn’t pretend to know it all. And she doesn’t care to know it all. Instead, she relies on others to help her do things she’s not good at or doesn’t enjoy. If you check out Gina’s income reports, it’s evident that she’s not afraid to reinvest in her business. In fact, some months her expenses run half of her gross income and have amounted to almost $10,000! Working with others makes freelancing less lonely. Delegating work that she’s not good at or doesn’t enjoy makes her work more enjoyable and more profitable. She loves to hire people from her community and invest in their success. She’s totally cool sharing the wealth. Grayson Bell. Grayson has been a lifesaver in Gina’s business more than once. He has excellent web skills and has helped her choose a new theme and move her existing content over, troubleshoots tech issues, and ensures her website is up and running strong, each and every day. Mickey Gast. Mickey has been with Gina going on a year, but she couldn’t imagine not having her help. Mickey helps edit, format and publish guest posts, creates amazing images (like the ones for this post), among a million other things. Carlos Aguilar. Carlos and Gina have been working together for just over six months. They met a year ago through a course they were both taking and after he unexpectedly got laid off, Gina became his first client. He’s been helping her kill it with course sales, sales pages, implementing new marketing ideas and more! Erica Johnson. Erica took on a project manager role for Horkey HandBook earlier this year. Gina wanted to revamp both of her current courses, but knew that with her current client load, keeping up with her own blog and everything else she had on her plate (including writing and launching a new course), that it’d be impossible for her to do it on her own. So she struck up a conversation with Erica (again someone from her community and an alumni student of the VA course) to ask for help. Boy was that a great decision in hindsight! Lucia Cruz. Lucia is the most recent addition to the Horkey HandBook team. She’s also the only member that Gina’s ever met in person. Lucia pitched Gina on blog syndication services (to get her blog content placed on other publications) and Gina thought what the heck? Why not give it a shot? Lucia also helps with some writing and other marketing efforts. Gina’s said more than once that she can’t do it alone. And that she doesn’t want to. Because what fun would that be? One of the other things that I really like about Gina is that she’s a true hustler. Girl didn’t let up after she started seeing results and achieving success. Instead, it encouraged her to test her limits and see what she’s capable of. She’s actually been freelancing for about as long as I have, but her focus is different than mine. I am an author (and I help others become authors, too) in addition to a freelance writer and editor, whereas Gina started out as a freelance writer, added in virtual assistant work and continues to grow her business in a diversified manner. This is a super cool trait to find in someone that’s been as successful as Gina has. The tone of her blog and in her email newsletters make you feel as though she’s talking directly to you… and she is. She writes in a way that makes you feel inspired, included and able to make big things happen too. Why Not Me, Why Not Now? Within six months of starting freelancing, Gina was earning more than $4,000 per month, on the side of her full-time job, as the breadwinner and while raising two toddlers (of course with the support of her amazing stay-at-home-dad husband). 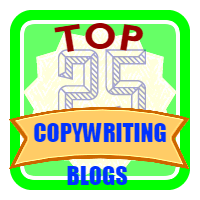 30 Days or Less to Freelance Writing Success. Gina’s best-selling freelance writing course has helped HUNDREDS of aspiring writers launch their own business, find gigs and get paid. And there’s no better validation as a writer than getting paid for it! 30 Days or Less to Virtual Assistant Success. Gina JUST revamped this course (with the help of Erica) by doubling the material (over 50 lessons, 20 enhanced trainings, video, quizzes, certification and more!) and moved it from email delivery to a courseware housed on Horkey HandBook, while still giving you only what you need to take action and get results. I HIGHLY recommend you check it out if you’ve ever thought of adding VA services to the mix. The Course Course. This is Gina’s newest course, which she’s partnered with her friend Carlos on. Diversifying your online business by adding products (like courses) is a great way to expand your income potential and bring some passivity to the mix. The next enrollment period will be in June, so if you’ve considered launching your own course, you’ll want to check it out! The Mamapreneur Mastermind. This one isn’t a course, but is a helpful resource for all of us women and well, mamapreneurs. You don’t have to have children to join, but you do have to have a ton of drive, motivation and vision to accomplish big things business wise in order to fill out an application. Gina and her friend Ariel created this paid mastermind after searching to find something similar and coming up empty. They’re not taking new members now, but if you hop on the waitlist, they’ll let you know when the doors re-open. So there you have it, my top five reasons why Gina Horkey rocks! I could have gone on and on, but that might make her head too big and she likes to try and stay humble. I hope you learned more about Gina and look into some of the amazing resources listed above. 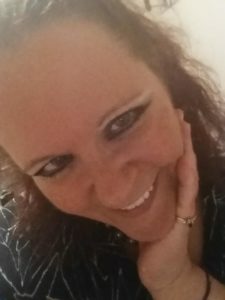 Go join her in her mission of taking over the world when it comes to online business! Lorraine, great insight on Gina! I completed her 30 Days or Less to Freelance Writing Success course, and can attest to how informative it’s been for me. Her story is so inspiring, and her frequent blog posts keep me going as I embark on my B2B business writing/consulting journey. Can’t wait to check out your posts too! Nice to meet you, too, Michelle! I hope to see you again!